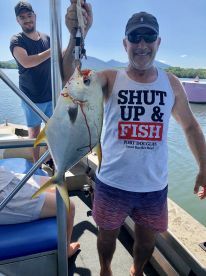 Captain John of Paradise Sportfishing Adventures specializes in calm-water estuary fishing excursions throughout the productive Cairns Trinity Inlet. 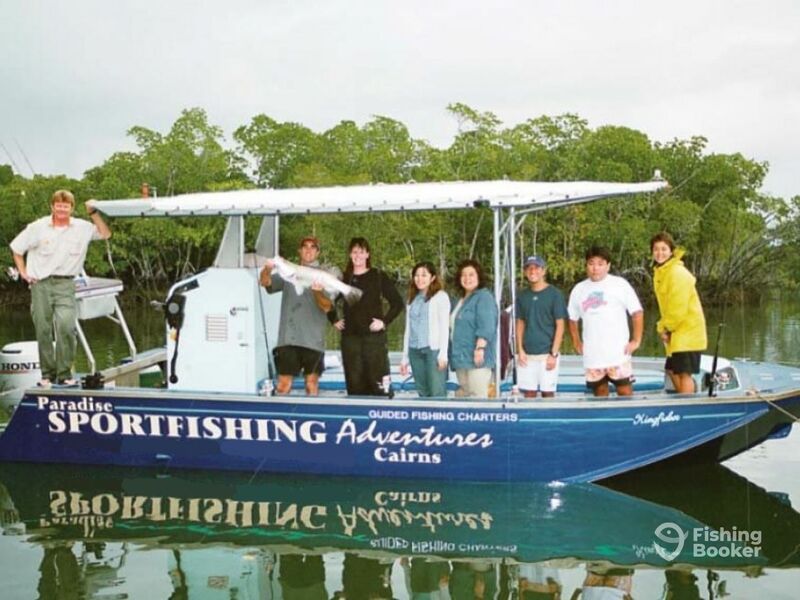 John owns and operates a 7.5 meter (25ft) custom-built estuary boat, propelled by a 130HP Honda four-stroke outboard engine, with a maximum passenger capacity of 8 anglers per trip. The vessel is equipped with a late model Garmin Depth Sounder GPS combo unit. It also sports a full cover shade top and a toilet. They cover the Inlet in both speed and comfort. 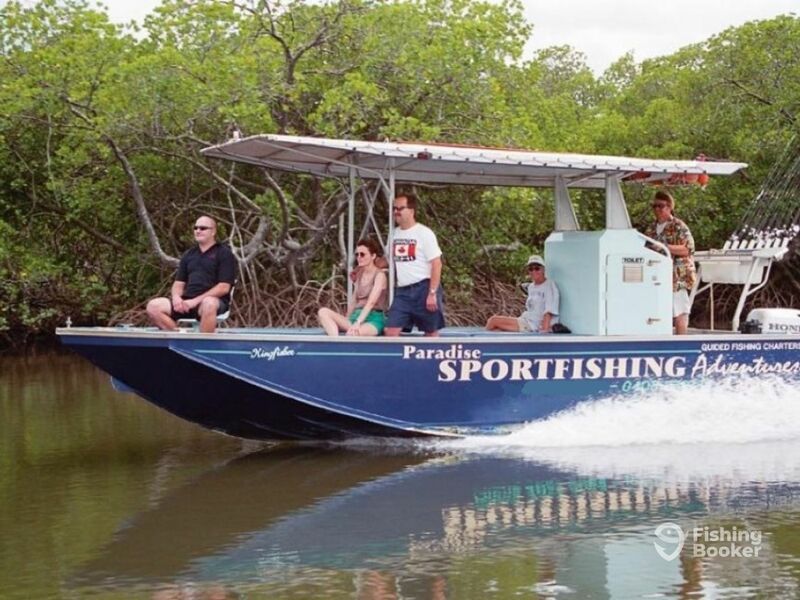 Trinity Inlet is known for being well protected due to a healthy and expansive mangrove system. Even on very windy days when reef trips are cancelled, you can still fish in relative comfort. 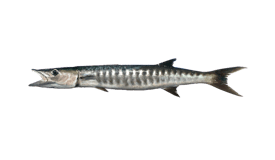 Each charter begins with the collection of live baits using a cast net. This is a very interesting part of the charter, especially if you have not seen a cast net in use. 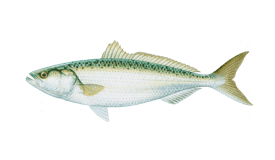 Specific bait varies depending on the season, with Sardines and Herring being the most effective and easiest to catch. 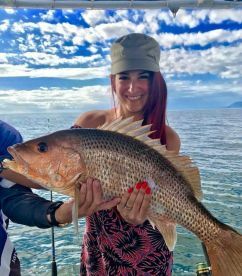 After securing the bait, it’s time to move up the Trinity Inlet, where depending on the season you’ll be going up against the likes of the famous Barramundi, Mangrove Jack, Queenfish, Trevally, Salmon, Fingermark and a variety of other species. The day is typically split in two, with an early morning charter aimed at the early risers, and an afternoon trip for those that like to sleep in. 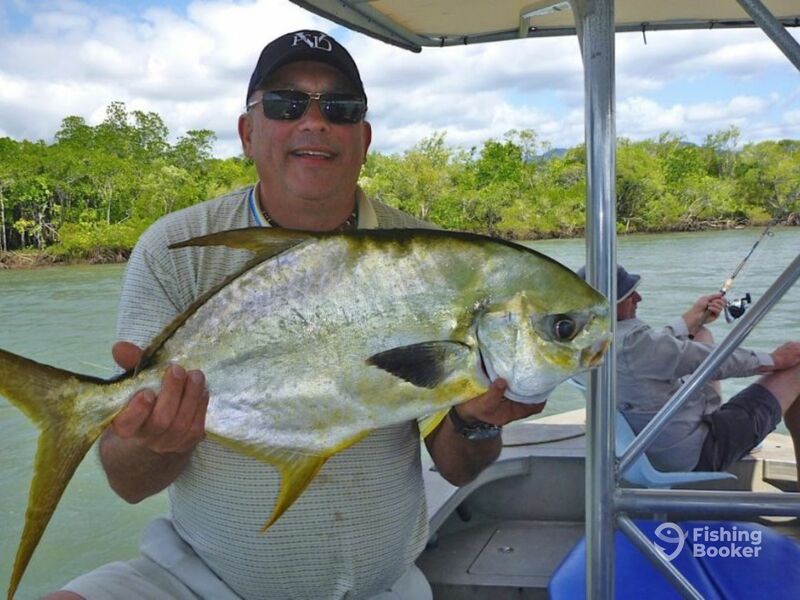 All trips with Paradise Sportfishing include quality fishing gear and bait. 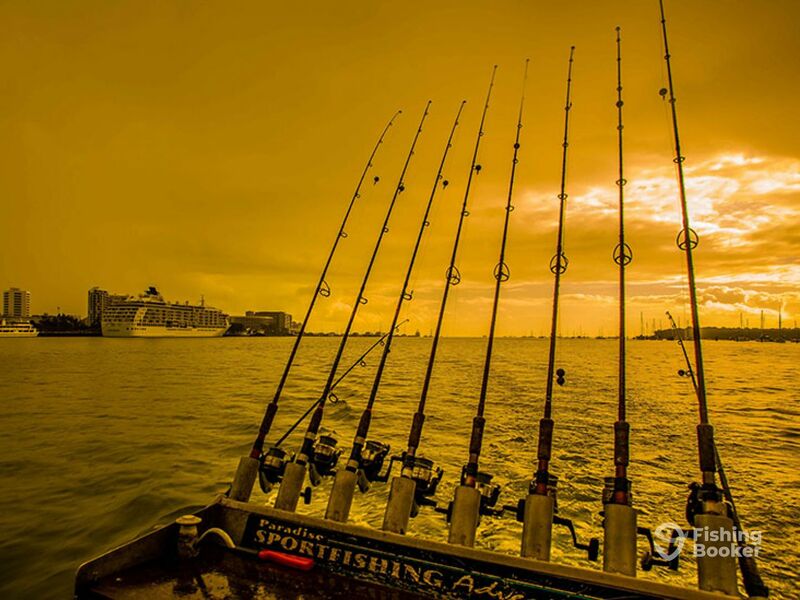 They use Shimano Raider rods and Spinning Reels. There’s a large cooler on board with plenty of ice and you can bring any drinks and snacks. 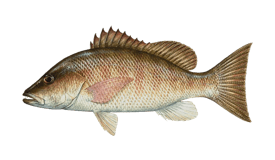 Should you catch a legal size fish, it can be cleaned and iced on board. There is an excellent restaurant at the marina that can cook your fish for lunch or dinner. 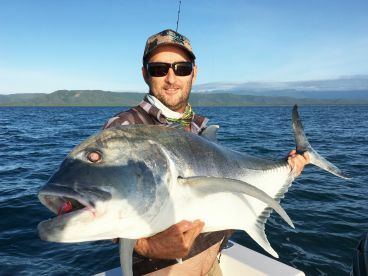 This private full-day private charter will have you targeting Barramundi in Cairns Inlet, as well as Queenfish, Mangrove Jack, Fingermark, Giant Trevelly, Threadfin Salmon, Grunter and many more. Trips include fishing equipment and bait. BYO food and drinks. Trips have a maximum of 8 people. 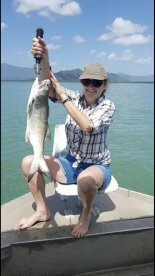 Private half-day afternoon trip, where you will go fishing in Cairns Inlet. 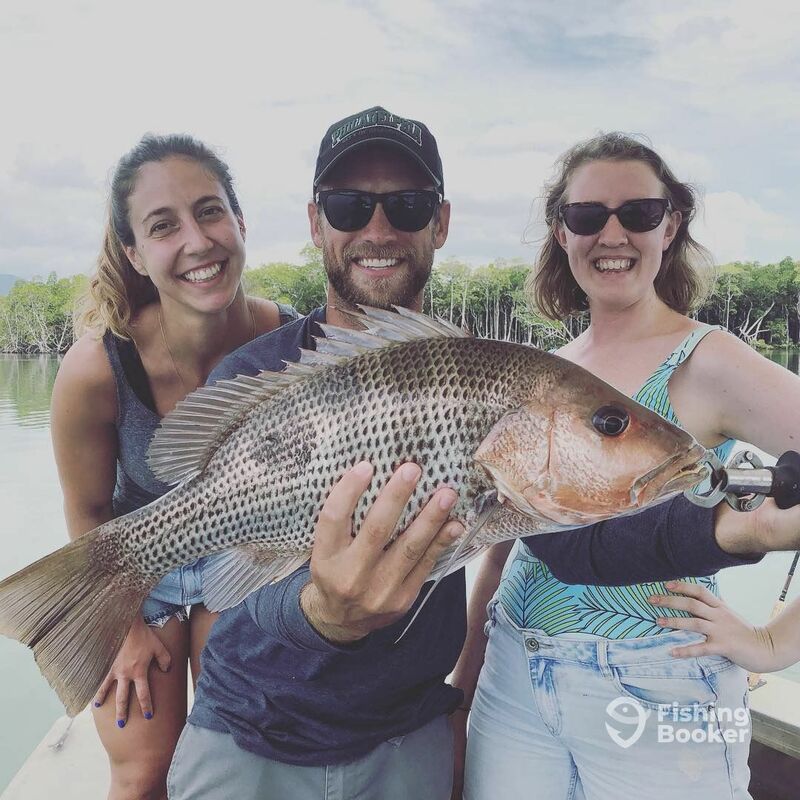 Try your luck at catching Barramundi, Mangrove Jack, Queenfish, Fingermark, Travelly, Salmon and many more. Trips include fishing equipment and bait. BYO food and drinks. Trips have a maximum of 8 people. 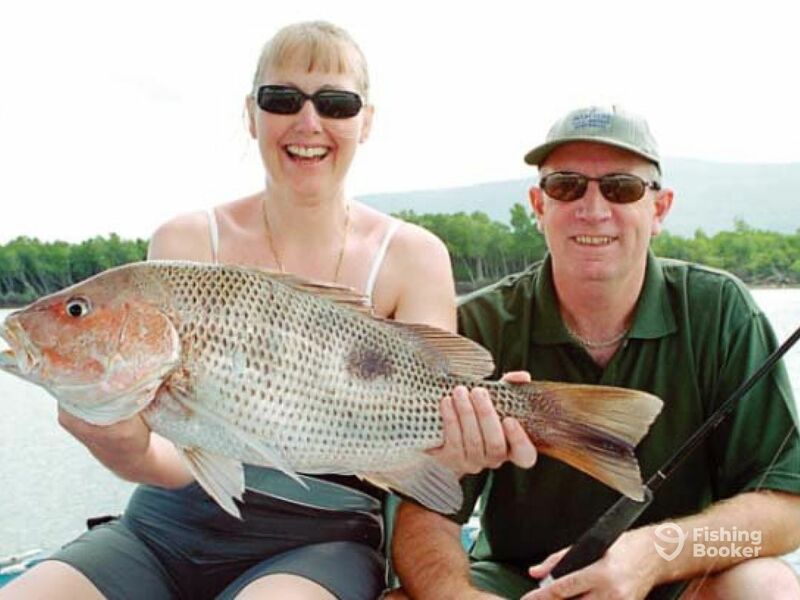 Private half-day morning trip, where you will go fishing in Cairns Inlet. 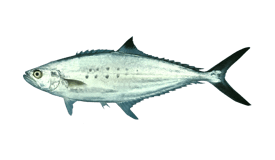 Try your luck at catching Barramundi, Mangrove Jack, Queenfish, Fingermark, Travelly, Salmon and many more. Trips include fishing equipment and bait. BYO food and drinks. Trips have a maximum of 8 people. 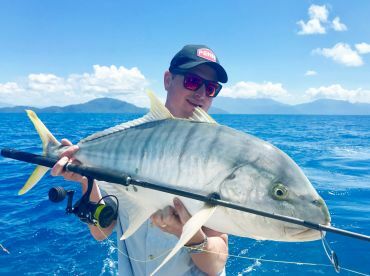 This full-day shared charter will have you targeting Barramundi in Cairns Inlet, as well as Queenfish, Mangrove Jack, Fingermark, Giant Trevelly, Threadfin Salmon, Grunter and many more. Trips include fishing equipment and bait. BYO food and drinks. Trips have a maximum of 8 people. 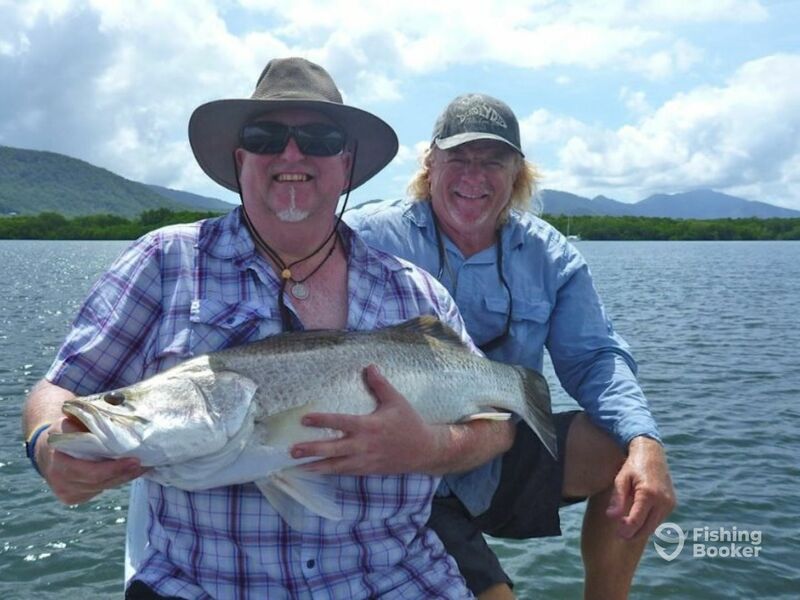 Join this shared half-day afternoon trip, where you will go fishing in Cairns Inlet. 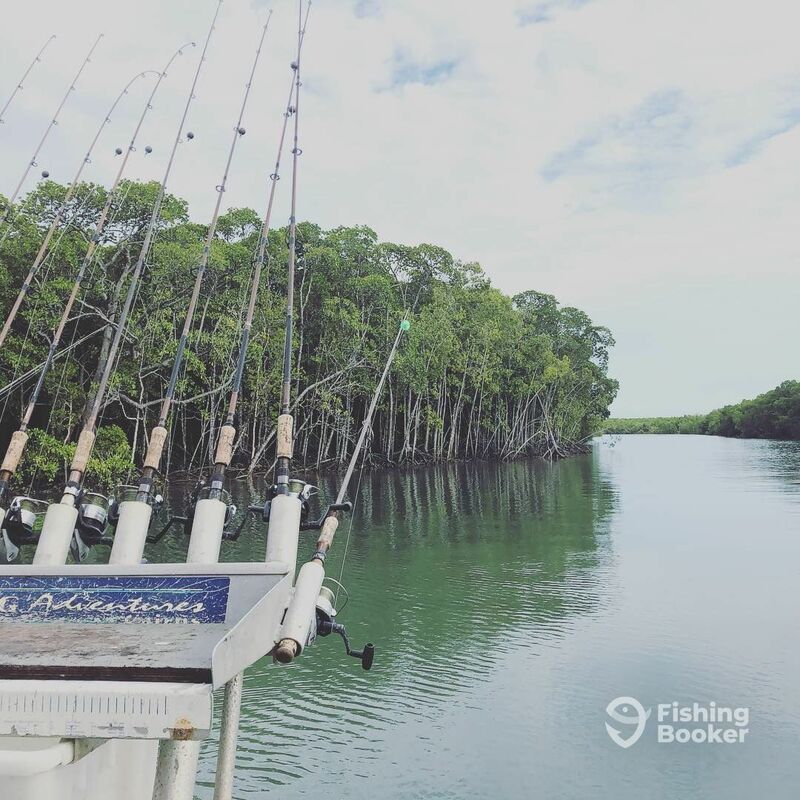 Try your luck at catching Barramundi, Mangrove Jack, Queenfish, Fingermark, Travelly, Salmon and many more. Trips include fishing equipment and bait. BYO food and drinks. Trips have a maximum of 8 people. 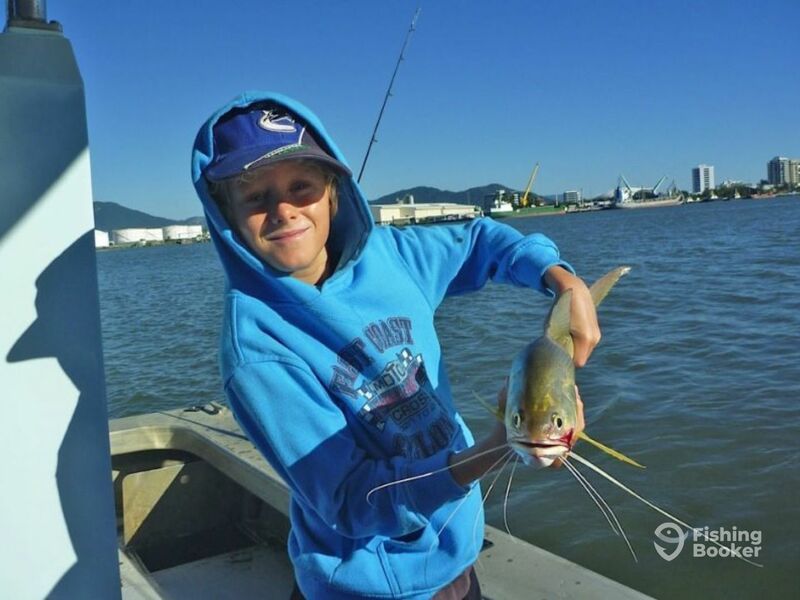 Join this shared half-day morning trip, where you will go fishing in Cairns Inlet. 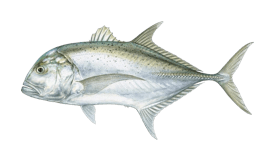 Try your luck at catching Barramundi, Mangrove Jack, Queenfish, Fingermark, Travelly, Salmon and many more. 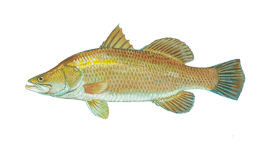 Trips include fishing equipment and bait. BYO food and drinks. Trips have a maximum of 8 people. Вы можете бесплатно отменить или поменять резервацию не позднее чем за сутки до начала тура. Если погода не позволяет безопасно рыбачить, ваша резервация может быть перенесена на другой день или бесплатно отменена. Captain John Hangodi has 25 years of international guiding experience, including 15 years as partner at a renowned Knight Inlet Salmon Lodge in B.C. Canada. Today, he's swapped the Pacific and the West Coast rivers for the peaceful estuary of Cairns. All though the weather was not the best in and out of heavy rain, my mother and I much enjoyed the trip and would most definitely recommend. Captain managed to put all 8 on the boat onto a fish and biggest of course going to the little girl! She was stoked as it was her biggest fish ever! We paid for 4 hour half trip but ended up being out on the water for over 5 hours! Won’t be disappointed! We had a very nice 1/2 day inshore fishing trip with John. He was very informative and we chatted quite a bit. Fishing wasn’t the best (not John’s fault) but did catch a few and John was able to tell us about each one. He also was very helpful with baiting the hooks and taking the fish off as we were not as familiar with the species traits. We enjoyed our trip and would recommend this guide to others. We had a great trip with John and the team, consisting of Travis, Megan, Chen, Ping, Toby , Neil and myself. 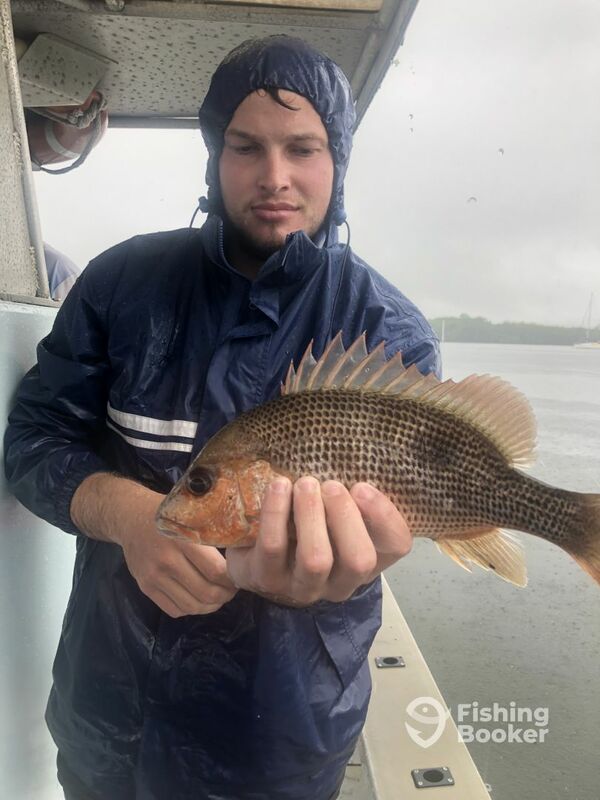 After much rain we struggled to find live bait, not through a lack of trying by John. He worked his magic during the morning to produce 1 x GT, 1 x Ray, 1 Groper, and 1 Fingermark ! All of this occurred under tough conditions with recent rains and a distinctly lack of fishing smarts from us ! Would definitely recommend him to have a great morning on the river. Half Day Trip with Captain John! We had a great time today, and I would recommend this trip to everyone. John was fantastic, really enthusiastic and knowledgeable. 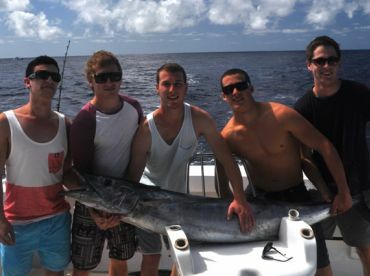 Overall an experience that is a must do when in Cairns. Booked this trip for my brother-in-laws bucks day. With all tackle and bait supplied, all we had to do was turn up and fish. A great day was had by all. Thank you for a great morning.